Credentialing - Sunknowledge Services inc.
Sunknowledge is happy to aid provider groups as well as clients with a complete range of credentialing services through a time-tested technique that ensures that organizational providers are compliant with state and regulatory bodies before directing membership to these facilities. Proper credentialing requires a watchful eye for total and stringent compliance with applicable standards. It also requires that applicants are evaluated in the right manner and their competencies are measured accurately. For this, a number of resources are consulted such as the social, academic and professional history of the applicant, peer and expert reviews, end-user reviews on the quality of the applicant’s services, and more. 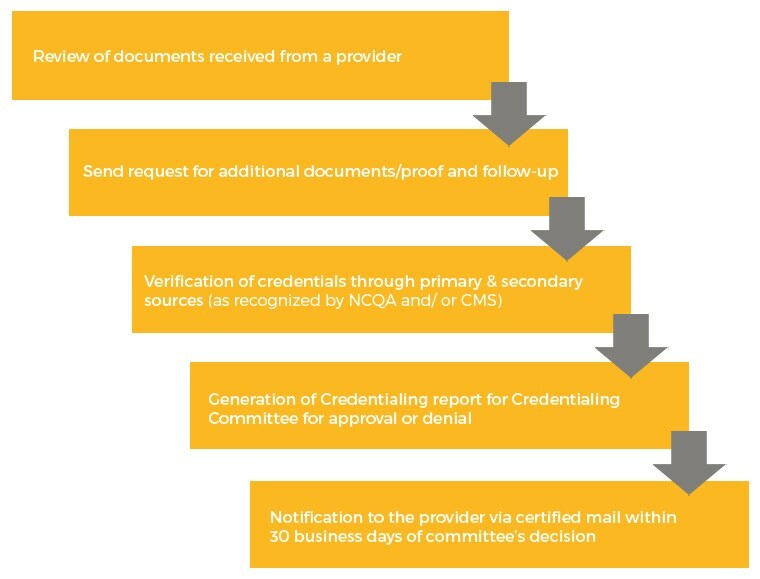 At Sunknowledge, we work with a full team of credentialing veterans who strictly abide by the standards and guidelines set within Medicare Managed Care Manual and National Committee for Quality Assurance (NCQA). So, why look anywhere else?